Grief is not heroic or redemptive. That’s not what I mean. That’s certainly not what I felt after I lost my mother in 2012. But we talk a lot about representation in media, and what that means for people who recognize themselves and those learning from exposure. I’d seen Josh Lyman finally recognize PTSD in The West Wing’s brilliant episode “Noël,” which aired in 2000. But I couldn’t recognize the grief pop culture offered. It was too quick, too showy, too telegraphed. It was also digestible: She cries a lot now, the narrative would say, but her new boyfriend will help her get back to normal by sweeps. 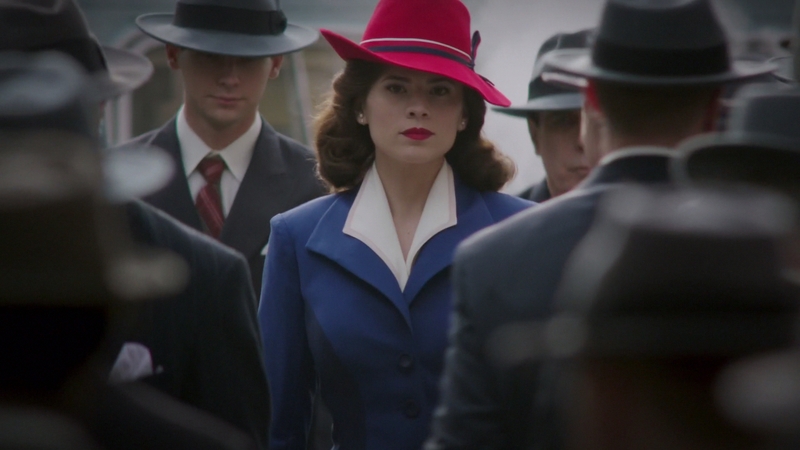 As for Agent Carter, I was ready to love it before it even aired. Peggy Carter, the brilliant, no-nonsense, misogyny-smashing secret agent we met in the 2011 film Captain America: The First Avenger, is a hell of a character. Thanks to her appearance as an old woman in 2014’s Captain America: The Winter Soldier, we know she gets a full and fulfilling lifetime, helming an enormous agency and having a family of her own. But after World War II, all the women like her who’d been so instrumental in the war effort were told to go home. 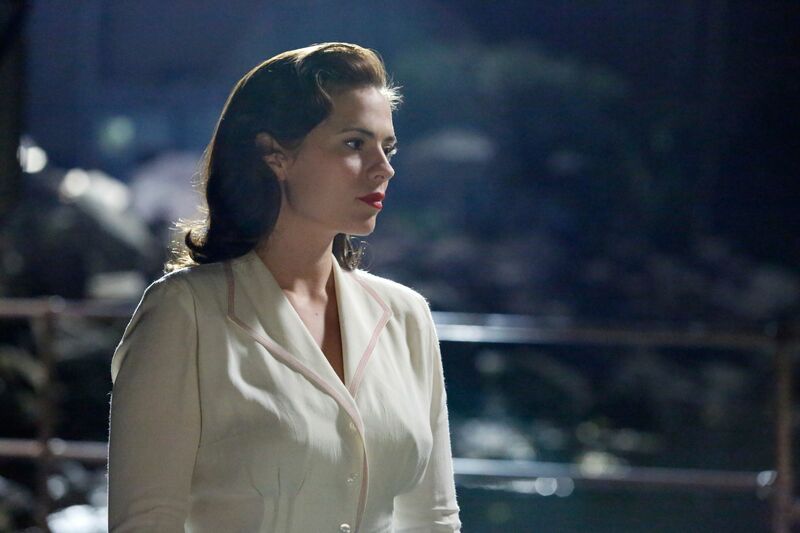 In Agent Carter, Peggy refuses to be sidelined, and puts her considerable skills as a spy to work on her own. That Disney and ABC considered her — dismissed by many as simply Cap’s love interest — a draw for viewers seemed like a huge victory in an entertainment landscape dominated by men. From the outset, viewers know that dismissive male colleagues are some of Peggy’s biggest obstacles. The plot also keeps her busy, playing double agent, proving a friend’s innocence, hunting down a serial murderer, thwarting multiple deadly threats. What a relief for her — something to do that’s not paperwork! But Peggy herself never spots the time bomb in the story. Agent Carter opens a year after the end of Captain America, when Steve Rogers, the supersoldier she’d loved since he was an undersized volunteer, vanished into the Arctic. From Agent Carter’s very first shots, we see that Peggy isn’t over his apparent death at all. The only way she can function is working so hard that she can escape her feelings altogether. That was a portrayal of television grief that felt deeply familiar to me. I thought I was doing okay a year after my mom died. It was brain cancer, and it was hideous. In the period after, I extricated myself from an unfulfilling job, got into graduate school in an entirely new field, earned my degree as a full-time student, freelanced on a very demanding schedule, moved to a new city and buried myself in an even more demanding job. I miss her every day, and I’ve lit candles and visited her grave and sat with a therapist, but I thought I’d achieved the initial grief, and the rest would just be acceptance. There was a hiccup, on the first anniversary of her death. In Jewish traditions, the headstone doesn’t go up for a year after the burial. My family had scheduled the stone-setting for mid-August, near the end of my school term. I thrive under high expectations, but I began to get anxious midway through the quarter. I dropped a class I’d begged to get into, and I butted heads with authority figures. At the ceremony itself, I was a wreck. I hadn’t grieved at all yet. I’d made myself too busy. Work and grad school and anything else I could grasp were better than feeling the pain of Mom’s absence, even if I was exhausted and stressed all the time. Standing among our friends and loved ones, I realized that I hadn’t cried for my mother since she died. It was a body blow, a cannonball that finally landed a year after being shot. Grief had already been running my life, though. In the first season of Agent Carter, Peggy can’t see her loss warping how she goes through the world, but I could. When her work as a spy hurts the people around her, she blames herself for not protecting them. (My mom had cancer, and we weren’t doctors; all we could do was help where we could and watch.) When someone offers Peggy friendship or even love, she builds walls around herself by any means necessary. (I didn’t want to be a burden. Nobody deserved seeing the enormity of my pain, and it felt like that was all I had.) Peggy’s grief interferes with every part of her life. But the finale requires that she confronts that grief — the fate of the city depends on it. Another character who’d also been close with Captain America has put all of New York in danger. Peggy has to talk him down — he believes what he’s doing will finally save their lost friend. Peggy, who has spent so long trying to be brave, or atone for not doing enough, or never show or allow herself weakness, can only at last speak the truth. “This won’t bring him back,” she tells him. “We have to move on, all of us. As impossible as that may sound, we have to let him go.” She’s talking to herself as much as to her erstwhile friend, who also finally sees the extremes to which his own grief has brought him. For a long time, I spent every day after my mother died feeling only like I had lost something I could never make up for. It’s true, you’re a different person after grief. It changes you. But you grow with it. In the show’s new season, which began Tuesday night, Peggy now allows herself to embark on her long life with an open heart. You don’t have to repent for your sadness. You don’t even have to give it up. You just know that there are different good things in the world, and you’re allowed to love those too.